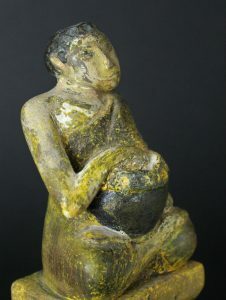 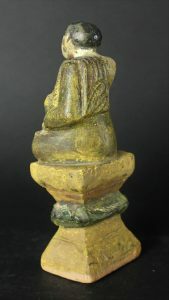 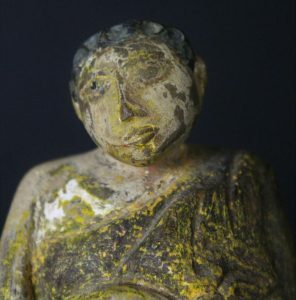 The monk Xup Khut Polichrone 19 th century Wood with his hand in the bowl The sun waited in his passing by, to let him eat before twelve because he was such a dedicated follower of Lord Buddha. 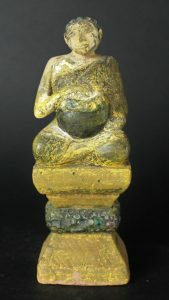 Very popular and seen in every Temple in Burma. 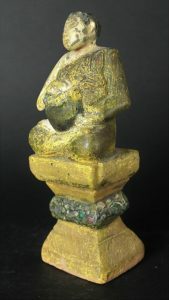 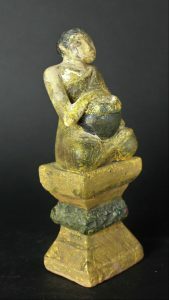 Wll carved and very attractive staue with little glas stones in his throne.